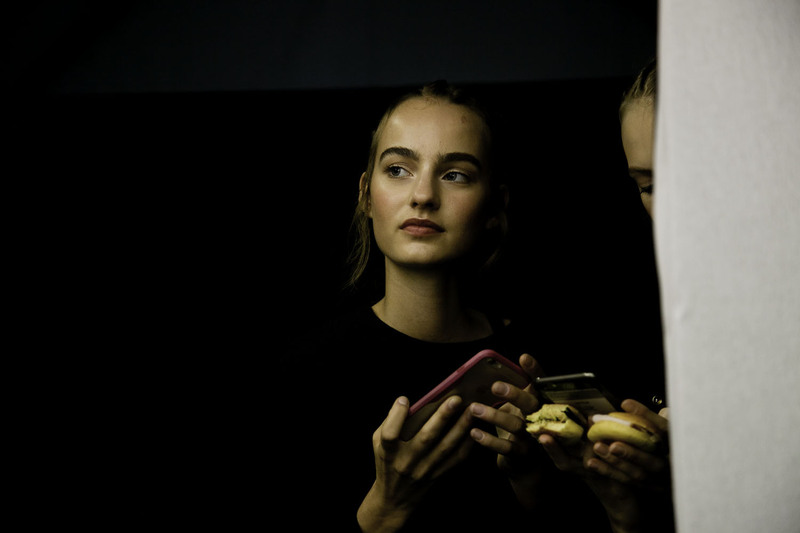 There are pictures I have taken that feel like a painting, I really feel like Renoir capturing not a dress or only a person but a moment in time, in the first picture the beautiful models at the Valentino show, representing the time we live in, telephones in hand, texting and selfies. 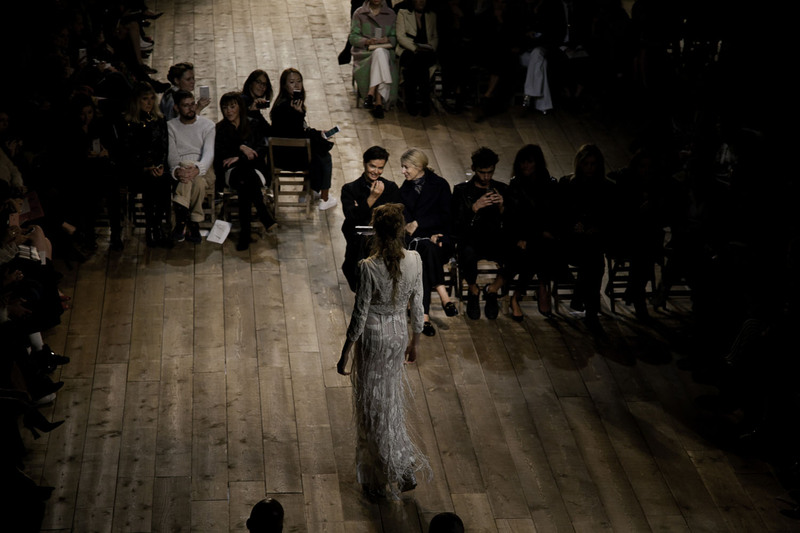 The second one at the Alexander McQueen show same but in a more subtle way , but captures the exact moment when the girl is observed by all. I love moments sometimes I just forget the clothes. This photo was taken for La Mode en Images.